Make a precious addition to your accessory collection with this set. 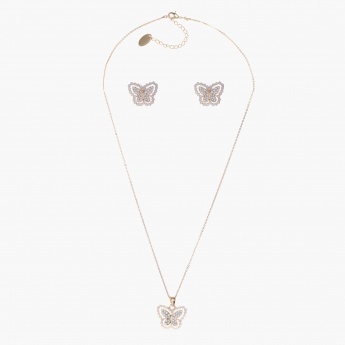 Fashioned in a butterfly themed design, it exudes pure charm. 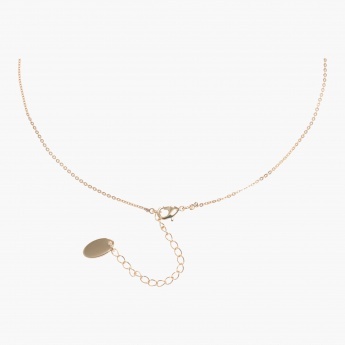 It comprises a pair of earrings and a pendant chain that adorns your look perfectly.